Myo-inositol, a molecule that is known to help reduce polycystic ovary syndrome (PCOS) symptoms, has recently been shown to potentially relieve Hashimoto’s symptoms as well. 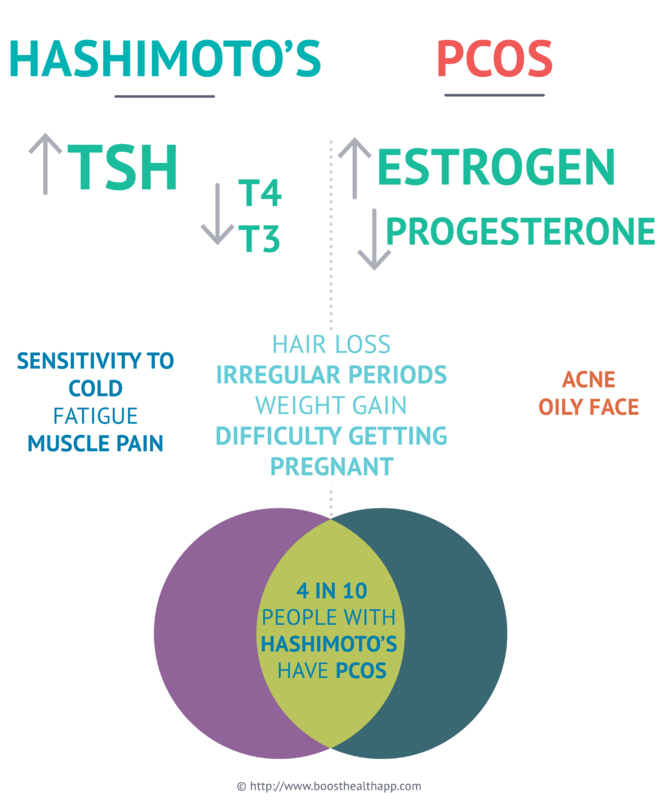 PCOS and Hashimoto’s have many common genetic triggers and similar symptoms. In the general population, PCOS affects about 12 in 100 females of reproductive age (1–4). In our recent survey we found 40 in 100 people with Hashimoto’s are also diagnosed with PCOS. You can read more about the connection between the two conditions here. What are your experiences? We would love to hear from you. For PCOS, inositol helps reduce acne and hirsutism (facial hair), restore a normal cycle, and combat insulin sensitivity (5,6). It regulates the levels of TSH and FSH (follicle stimulating hormone), as well as insulin (7). In the case of thyroid hormones, myo-inositol helps thyroid-hormone-producing cells to become more efficient and faster at building T4 (8, 9). Myo-inositol balances thyroid hormones and reduces TSH as well as the TPO and Tg antibodies in the blood (8). According to research papers, myo-inositol is used alone or together with selenium (8, 10, 11). Several research studies have shown that 600mg of myo-inositol is able to suppress symptoms in Hashimoto’s patients (10,11). It takes a longer time, about six month, before the effects of myo-inositol alone or together with selenium treatment are visible in blood tests (10,11). As myo-inositol can cause certain side effects and should not be used in certain conditions, it is good to talk to your health care practitioner before using it.